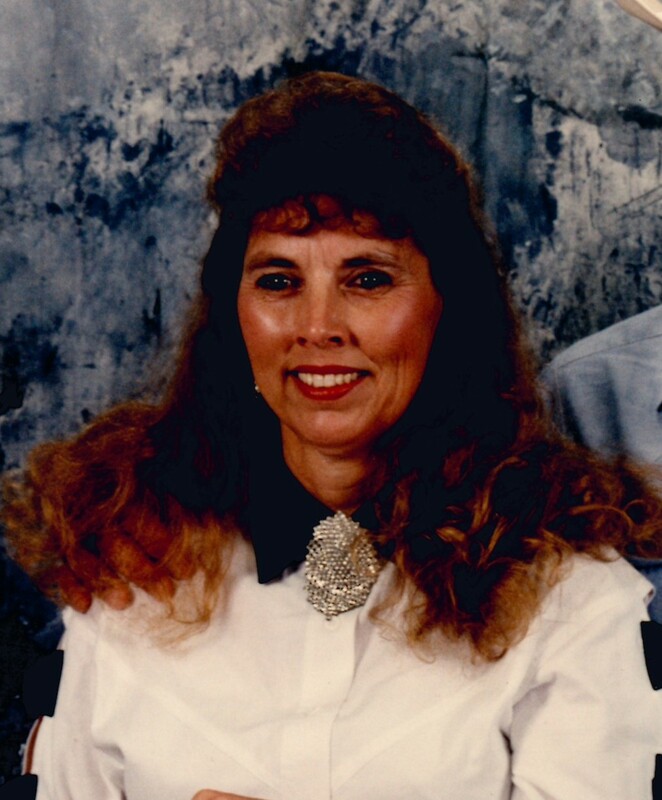 Vickie Lynn Underwood, 71, of Collinsville, TX entered into her heavenly home on Thursday, March 21, 2019 in Prosper, TX. She was born on May 8, 1947 in Collinsville, TX to Jerry and Velma (Cox) Matlock. She married Don Underwood on August 26, 1965 and they were married for 52 years prior to his passing in 2017. Vickie worked as a showroom manager at the World Trade Center in Dallas, TX and owned many different small businesses throughout her life. In her younger years she loved to ride horses, as she got older, she enjoyed playing bingo, slot machines and scratch-offs. She was a loving family woman and enjoyed spending time with her children her grandkids and her dogs. Her favorite pastime was watching the grandkids play sports. If she could be there for them to cheer them on, she would. Vickie was of the Baptist faith. Vickie is survived by her daughters, Donita Byrom and husband, Keith of Collinsville, Kristie Bowling and husband, Rick of Collinsville, and Shawnda Kovacs and husband, Jason of Tsawwassen, BC, Canada, thirteen grandchildren, seven great-grandchildren, brother, Dennis Matlock and sister, Sherry Matlock along with a loving host of family and friends. She was preceded in death by her parents, Jerry and Velma Matlock, husband, Don Underwood and brother, Gary Matlock. Pallbearers will be Justin Underwood, Cody Bowling, David Byrom, Daniel Byrom, Joshua Byrom and Michael Blakely. Funeral Services will be held at 10:00 AM on Monday, April 1, 2019 at Meador Funeral Home of Whitesboro, officiated by Rev. Keith Byrom and Rev. Jason Kovacs. Interment will follow at Collinsville Cemetery. There will be a time of visitation for friends and family members held on Sunday, March 31, 2019 from 4:00 PM to 5:00 PM at the funeral home. Love, thoughts and prayers going out to the family. So many great memories. Vicki will always hold a special place in my heart. Lots of wonderful memories playing softball growing up. My condolences to her family. Fly high Vicki. Vickie welcomed me into Cville 30 years ago as a new bride. I hav many fond memories & remember our many quick chats as we met at PO. She was a very hard working lady. RIP my friend. Sympathy & Love to the family. Vickie was the loveliest and kindest lady! Her sweetness is borne out in her children and grandchildren and family. She is rejoicing today reunited with family and her Lord! Blessings to her family. Growing up, Vickie was one of my favorite moms. To her Girls and the grandchildren, my thoughts and prayers are with and your family during this time. She was a wonderful Lady and will be missed. Vickie was such a sweet friend. Loved talking to her for hours. Such a classy lady! God Bless her as she enters the golden gates! Rest now, Vickie. You and Don are together with God. We never forget the many memories. Some of my earliest memories of childhood are Mom & Daddy playing cards with Don & Vickie. Vickie had such a great laugh! And the shopping trips! WOW! Kristie and I would pile up in the backseat of that black Lincoln with Vickie and my mom. By the time we made it home the trunk was full, the backseat so packed Kristie was in my lap! I think they actually tied Shawnda and Jason to the top of the car one time LOL. Those women knew how to shop! And don’t get me started on the BINGO adventures! Vickie will be missed by everyone who knew her but I know she’s in Heaven with Don and all the loved ones she’s missed. In memory of Vickie: I try to live my life so that those who value what I am will have profited by my time on earth and be left with comforting recollections of what we have meant to each other. Rest in Peace Vickie. I am so very sorry for the passing of this sweet lady!! !